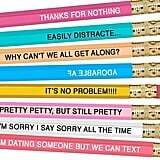 Sure, you could continue toiling away at work using a basic, uninspiring writing utensil . 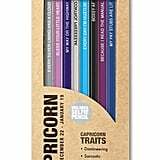 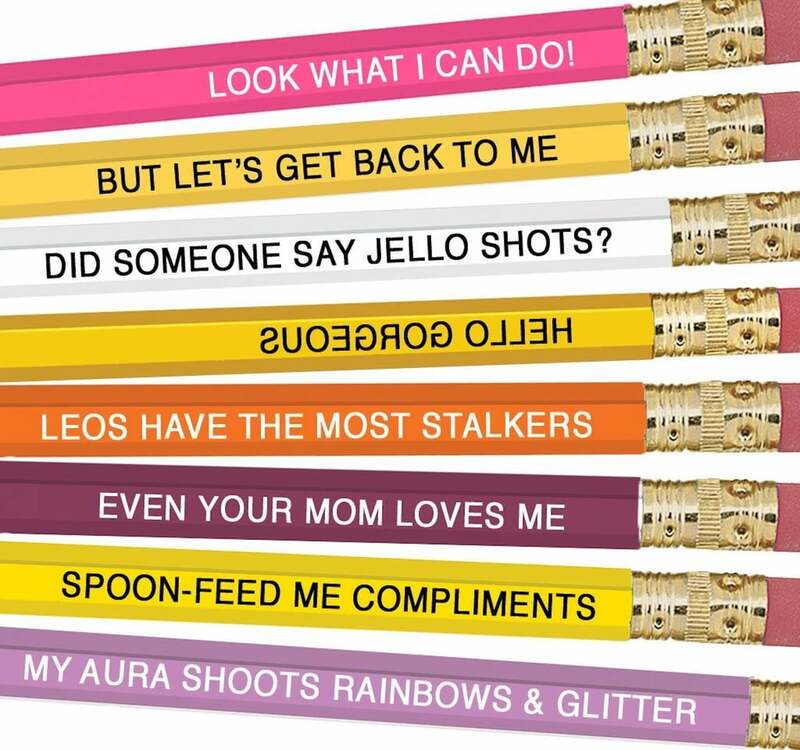 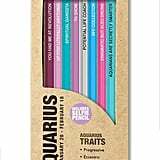 . . or you could stock your desk with colorful pencils inspired by your very own zodiac sign! 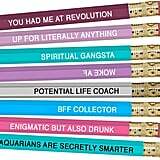 These colorful astrology-themed pencils hail from Always Fits, an online boutique that sells an assortment of cheeky gifts like profane oven mitts and curse-word-adorned dish towels. 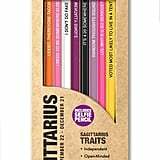 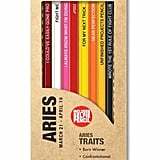 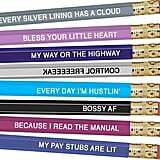 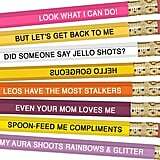 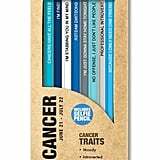 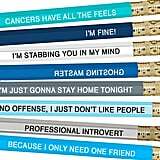 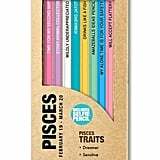 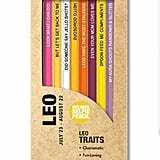 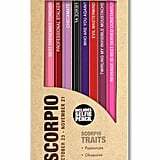 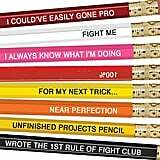 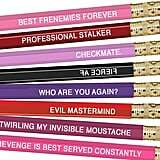 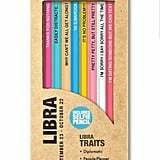 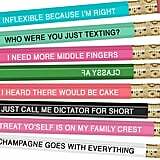 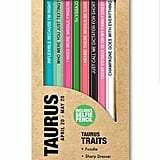 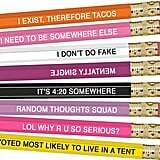 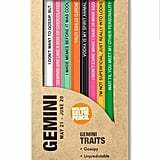 Each set includes eight pencils with funny sayings that relate to all 12 of the zodiac signs and their signature traits. 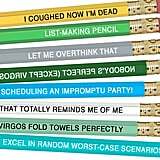 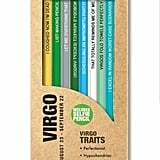 Perfection-seeking Virgos will definitely be drawn to the "Let Me Overthink That" pencil, whereas fun-loving Leos will likely giggle at the "My Aura Shoots Rainbows & Glitter" one. 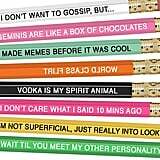 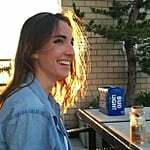 Check out all the spot-on phrases ahead, and buy yourself or your fellow astrology-lover a set of pencils before they sell out!